Collaboration and sharing information with teammates is essential to successful product management. You wouldn’t rely solely on a designer to prioritize your next sprint, would you? Just like certain teammates on your product team have certain specialities, so do the tools you use throughout your product management process. 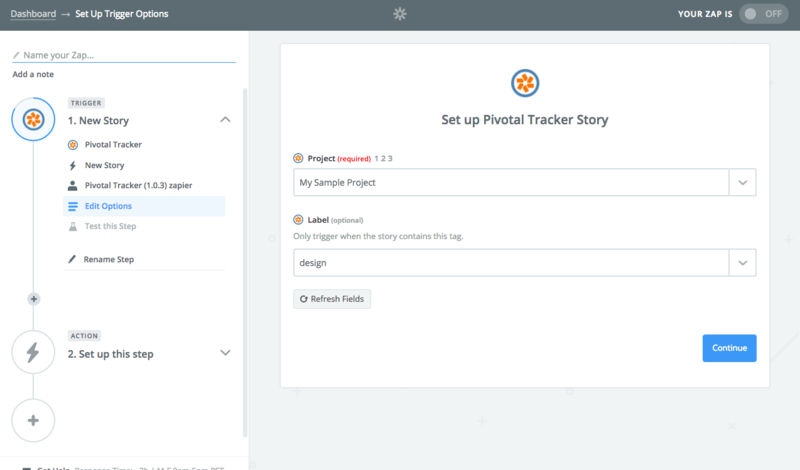 You turn to agile tools like Pivotal Tracker to track and prioritize project work, while you turn to other individual tools to chat with your team, hold meetings, take notes, etc. Instead of having each tool exist in isolation, you can integrate them together. Sharing information between your tools enables collaboration with your teammates and boosts productivity. Connecting a kanban tool like Trello with Pivotal Tracker streamlines your team’s variety of work. Here’s a closer look at how two product teams do just that. At Wetu, a South African company that makes content management tools for the travel industry, their team of developers, UX designers, and product managers use Pivotal Tracker to manage and prioritize what features to build next. They adopted the tool as the company quickly grew from 10 to 70 employees because previous project management tools they tried weren’t flexible enough for a wide variety of teams to rely on. Another factor in choosing Pivotal Tracker: the wide availability of integrations. Integrations are essential because other teams at Wetu often use Trello. For example, the marketing and client onboarding teams use it to manage their Word documents, wireframes, and more in a kanban system. “Other tools we tried didn’t integrate neatly into anything else we were using, so we just had many standalone systems that were making everyone crazy,” Boshoff says. Pivotal Tracker’s integration with workflow automation tool Zapier allows the Wetu team not only to connect Pivotal Tracker to Trello, but also to hundreds of other popular business tools—from team chat apps, to calendars, and everything in between. Zapier is a tool that helps anyone connect apps and automate workflows—without any complicated code. Pivotal Tracker connects to 1,000 web apps via Zapier, so there’s a good chance your favorite business tool already is integrated! Using a simple integration called a “Zap,” the team can integrate Pivotal Tracker and Trello quickly so neither tool is out-of-date. 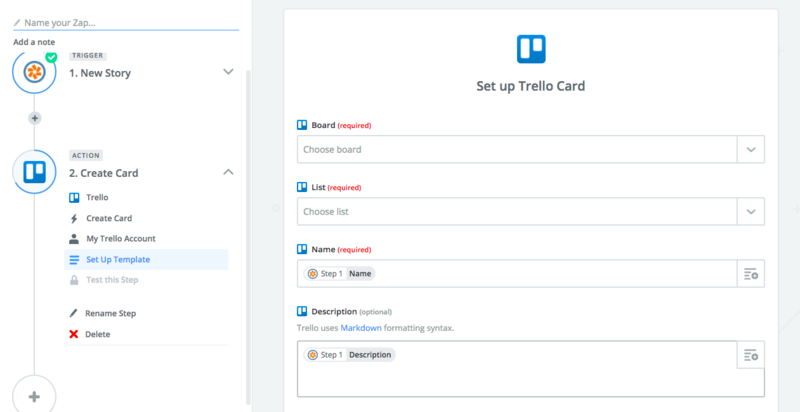 For example, the Wetu team relies on a Zap that automatically creates a card on the “User Experience” Trello board when there’s a new Pivotal Tracker story with a “UX” tag. As a result, there’s a card on the Trello board with a link back to the Pivotal Tracker story, along with the name and description of the story. The team behind Product People Limited, a consultancy in the UK that provides product management services, works with a variety of clients on a number of different projects. Because of the many different teams they work with, there are always new tools to incorporate into their product management process, too. Jock Busuttil, freelance head of product and founding director, often finds himself using both Trello and Pivotal Tracker together when working with clients. Most recently, when working with a client, he needed to keep tasks and projects updated in both Pivotal Tracker and Trello. “The scrum master and agile coach for the client’s team typically uses Pivotal Tracker to provide more fine-grained analysis, while others on the team use Trello for other tasks,” Jock says. Instead of changing the tools that his client was using, he simply integrated Trello and Pivotal Tracker together. That way, everyone can work with the tools they’re most familiar with. Step 1. Authorize Zapier to connect to your Pivotal Tracker account. Step 2. From the dropdowns, select the Pivotal Tracker project you want Zapier to watch for new stories and choose if you’d like Zapier to only watch for projects with certain labels. Click Continue. Make sure Pivotal Tracker has at least one existing project and test the step by clicking Fetch and Continue. This will pull in test data to help you complete the setup of your Zap. Step 3. Next, enter your Trello credentials to connect your account to Zapier. Step 4. This is the most important step of setting up your Zap. You’re telling Zapier what to do with the data it’s grabbing from your Pivotal Tracker account. Use the dropdowns in each Trello field to map the Pivotal Tracker data to Trello. Step 5. After testing that step, turn on your Zap and you’re ready to go! From now on, new Pivotal Tracker stories will automatically be added to Trello as cards. Looking for more ways to connect Pivotal Tracker to other tools your team is already using? Here are some of the most popular Pivotal Tracker automations through Zapier. Carlin Sack is a partner marketer at Zapier and a Northwestern University journalism alum. You can follow her at @SScarlin.